Greeting to all from Indy! Sure the Pacers are kicking %$@#* and the Colts will be playoff bound (we're hoping)…more important is our offering our sincere thanks for a great year to everyone in the Sports Shooter Family. Especially those who work tirelessly to make the whole thing happen. Without all of you, our days would be much less fun…and remember…we always need to make it fun! 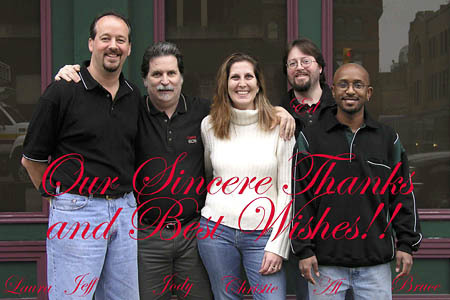 Happy New Year from everyone at Roberts, Jody Grober.